Back in 2009, I attended a rare talk/book signing that Jeff Koons did at the Strand in New York. The event coincided with the release of a nice book of Koons's "Celebration" series that Hatje Cantz put out and had an overwhelming turnout. 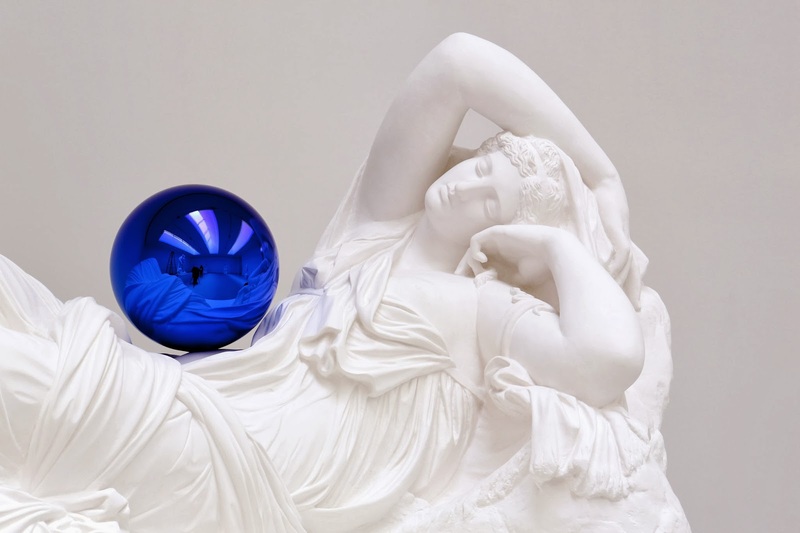 Koons and the Strand were almost careless in their generosity -- there was no limit of books that could be signed and Koons was whimsically drawing flowers, suns, and waterfalls in every book. About halfway through the line (about where I was) Koons's people realized that there was no way he could get through everyone and make it out of the store before midnight. The Strand was already closing up and it became apparent that he would either have to stop drawing or turn people away. I didn't make quite make the cut, and a drawing of a flower in one of my two books came out more like a cotton ball. What I like about both of these books is the texturing of both the lobster and the heart have a gratuitously heavy gloss to them -- they're pleasantly tactile, rich, and unnecessary. Quick thoughts on Koons as an artist: when he's done something great (which happens occasionally), all the heartless, cold, and business-minded criticisms of his craft seem to vanish. His work can be unquestionably powerful at times. I don't need to see another balloon dog in my life, but something like the "Gazing Ball" exhibition at David Zwirner will come by every so often and remind viewers why he's achieved the status that he has.